When signing up for a free BootCamper profile, Boot Campers can view helpful exercise tips from coaches and peers, along with receiving discounts and special offers from our sponsors! Become a featured Boot Camper and share your story when an instructor or other Boot Camper submits their testimony on your success. Share in the encouragement you’ll find throughout the site from the rest of your Boot Campers and Coaches. Create your Boot Camper Client profile to share your success and connect with the large community of Boot Campers throughout the nation. Taking the first steps in to that gym can be intimidating. The image of heavily muscled and overly enthusiastic athletes makes many people feel uncomfortable, like they don’t belong and can discourage many from making the change needed in their own lives. What’s your reason? Is it to have the energy to play with your kids? Is it to not be winded when climbing a flight of stairs? Do you want to maintain your independence when you get older or taking a proactive step to prevent health problems from taking over your life? Many Doctors preach pills and medications to be “well,” but if we have to rely upon medication to be well, we truthfully aren’t and have already passed that point to “unwell”. 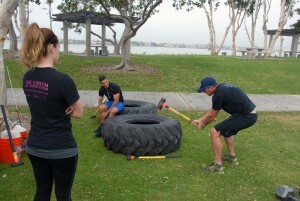 Boot Camps provide a healthy and empowering environment where you can get a good workout, no matter your fitness levels. Everyone in Boot Camps are dedicated to making that change in their lives; whether it be to play with their grand kids or defeat the pain and aches that assault them, you’ll have a positive experience in Boot Camp. Everyone is fighting a struggle, and in Boot Camps you’ll find strength from your fellow Boot Campers as you both fight towards the same goal of living healthier. In Boot Camps, you are stronger together and have the support net that will allow you to achieve what you once thought impossible. Be the change you want to see in your own life, succeed in your goals and have the support you need to succeed with others fighting for the same cause when you join a Boot Camp. With a variety of activities, Boot Camps provide scalable movements to ensure that you’re challenged and get the same workout as everyone else. Relative intensity is different for everyone, and no matter if you’re taking your first steps off the couch, or if this is your 5th Boot Camp, you’ll be able to get in the same movement patterns and workout as everyone else, even if your exercise may look a little different from someone else. Those with specific health issues or mobility issues are still able to participate in the same classes; with scalable movements, there are alternative movements to ensure you’re still taking steps towards your goal, while respecting your specific strains, injuries or limitations. Boot Camps will challenge you through cardiovascular exertion, targeted strength training and circuit exercises that combine to test your endurance and mind. With the strong support from the community that stands right beside you, you’ll find the encouragement needed to leap past that plateau that had limited you before. The success of Boot Camps are proven and as you struggle and sweat together, you’ll find that you become a family together. Boot Camper supports Boot Camp Instructors in promoting their business, while growing Boot Camps and the pursuit of a healthier lifestyle. Subscribe to our newsletter and get all of the latest and greatest Boot Camp News! Follow us on these Social Networks to get all of our Boot Camper updates.